Kinsen Daiginjo Kashin (金泉 大吟醸 華心), BY 30 - with a seimaibuai (精米歩合) of 35%. Very fragrant, lots of fermented rice and banana notes. 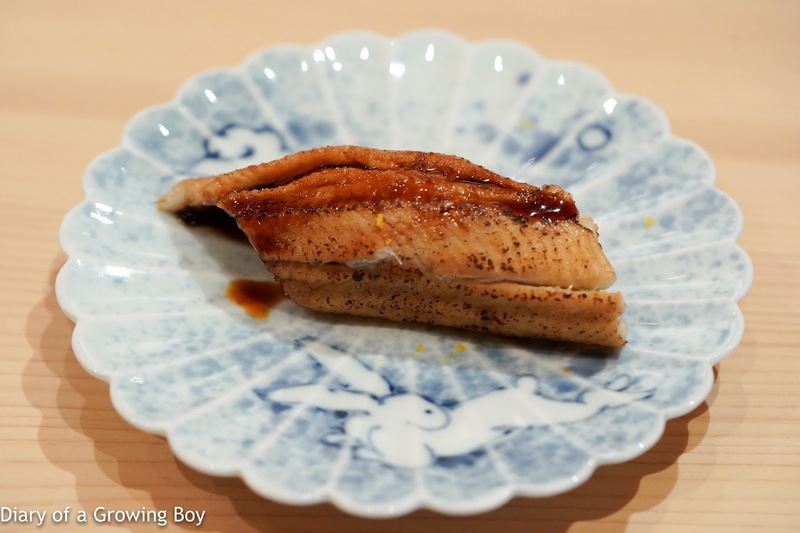 Olive flounder (鮃) and sea urchin (雲丹) - we were meant to add some marinated grated radish (おろし) and roll the thin slices of flounder up like a roll. 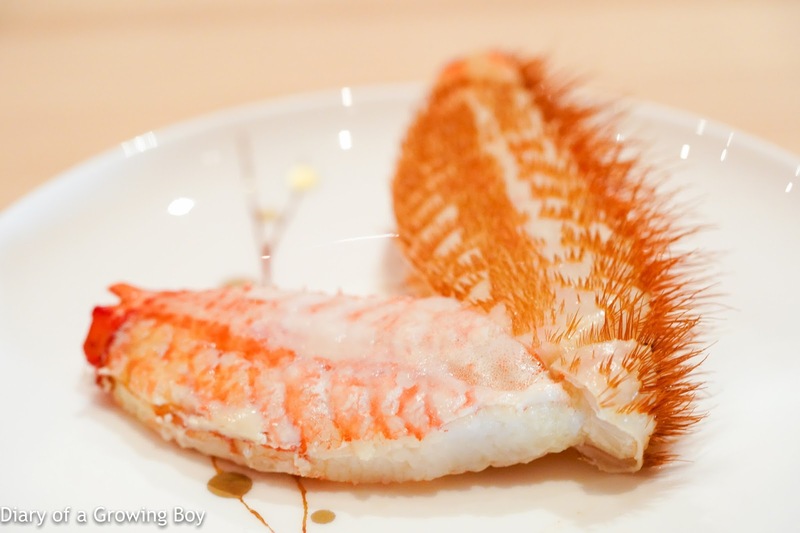 While the ingredients were fresh and tasty, and it is customary to dip flounder in ponzu (ポン酢), in this case I felt the sea urchin with yuzu (柚子) shavings on top was overpowered. 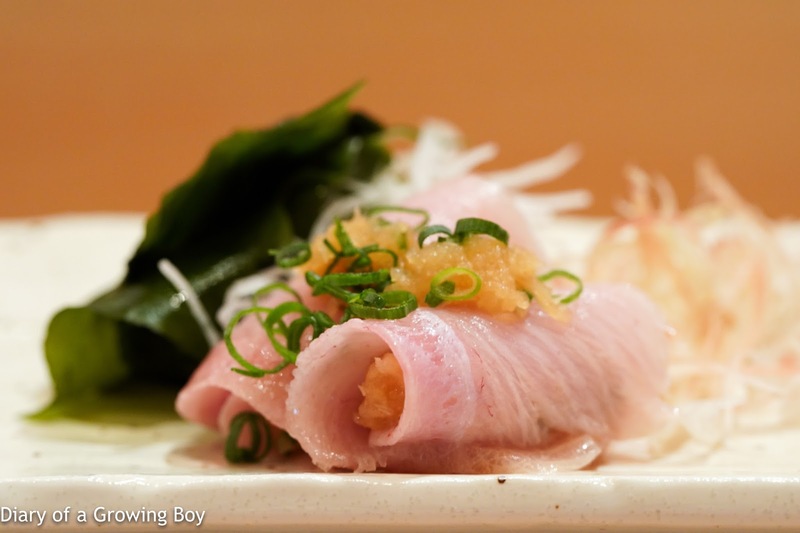 Yellowtail (鰤) - rolled up with marinated grated radish inside. 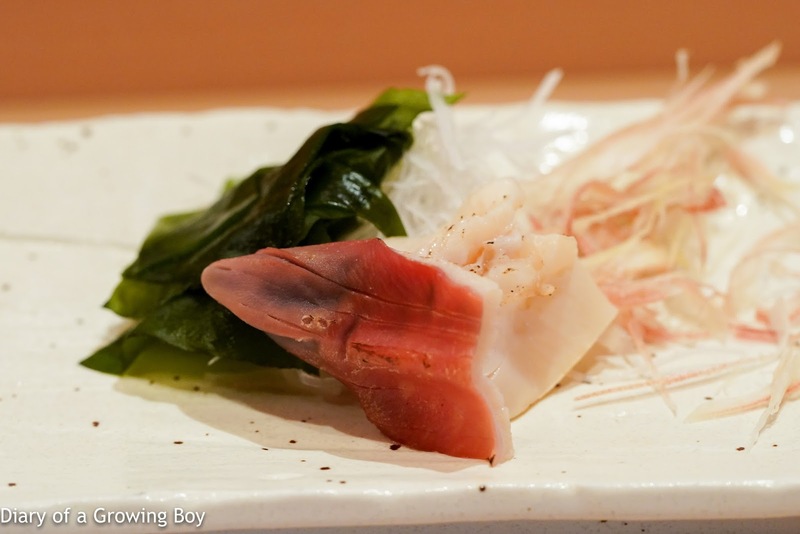 The yellowtail was very fatty, and the texture was very, very tender. 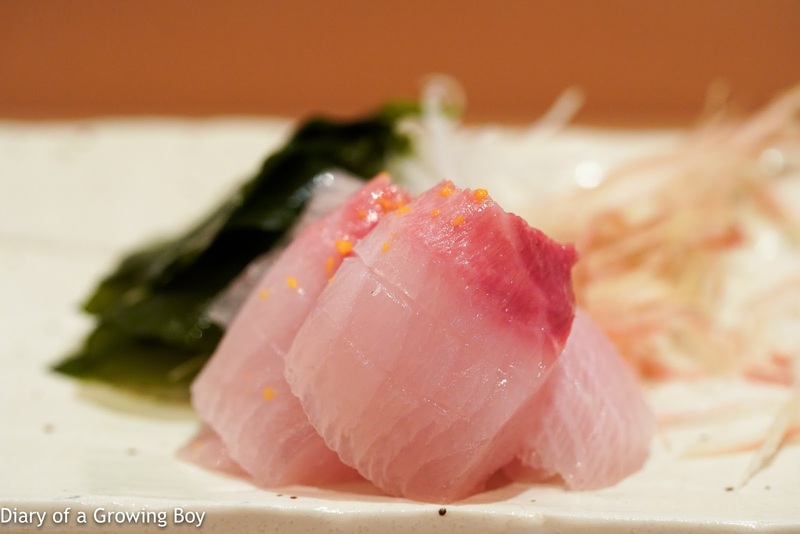 The acidity from the ponzu helped cut through the fat of the fish. It was a perfect mouthful. Japanese gaper clam (海松貝) - this was terrific, very crunchy. 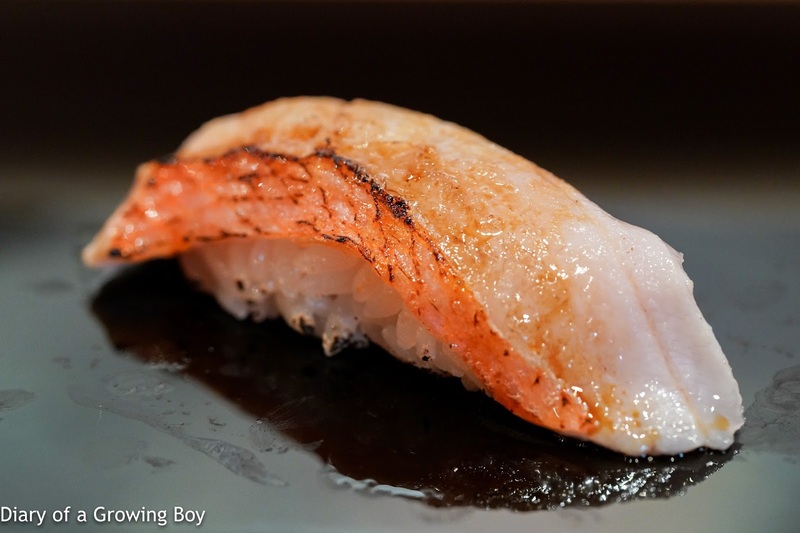 Surf clam (北寄貝) - lightly grilled, with a very springy and tender texture. Taken with salt and wasabi. Very good. 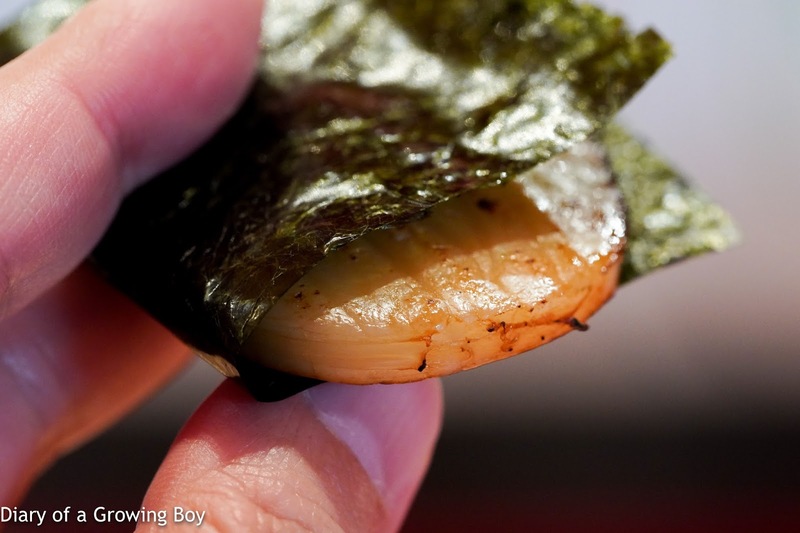 Fan shell (平貝) - sliced, grilled, and served wrapped in a piece of nori (海苔). I saw the chefs bring out a big tray with large chunks of tuna laid out on top, and politely informed Fujikawa-san that I did not wish to have any kind of tuna. He acknowledged my request, and the next serving was a substitute. 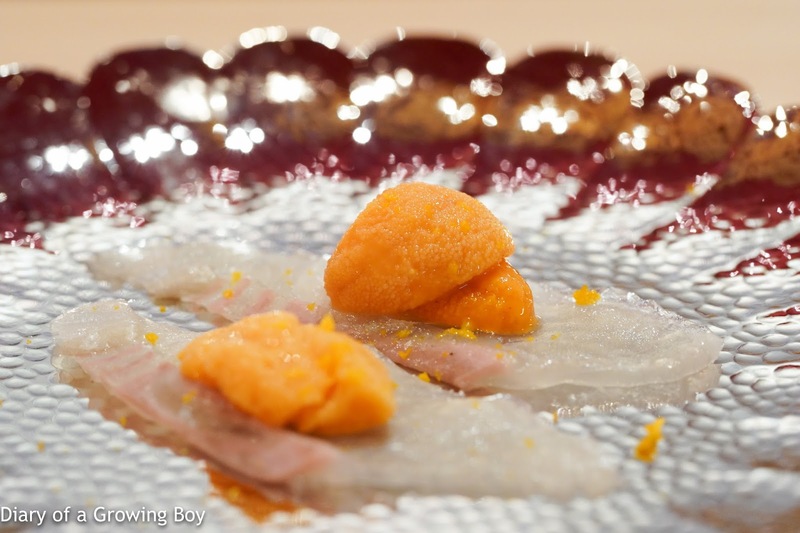 Great amberjack (間八) - with grated yuzu zest. There is firmness within the softness here, and pretty fatty that it kinda melted in the mouth. Yum. 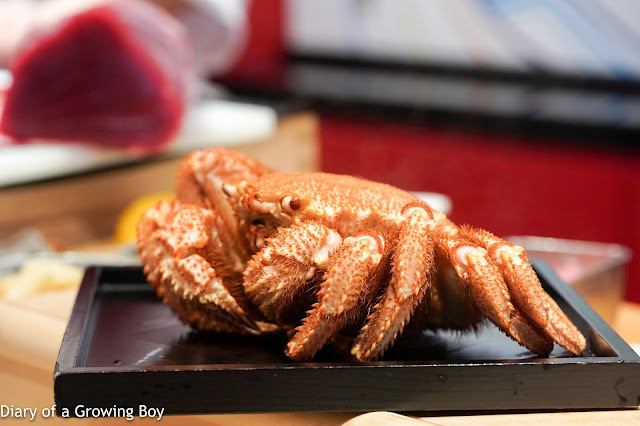 Next up, Fujikawa-san brought out a large Japanese horsehair crab that was already cooked. He cut off a leg and puts it on a plate for me. 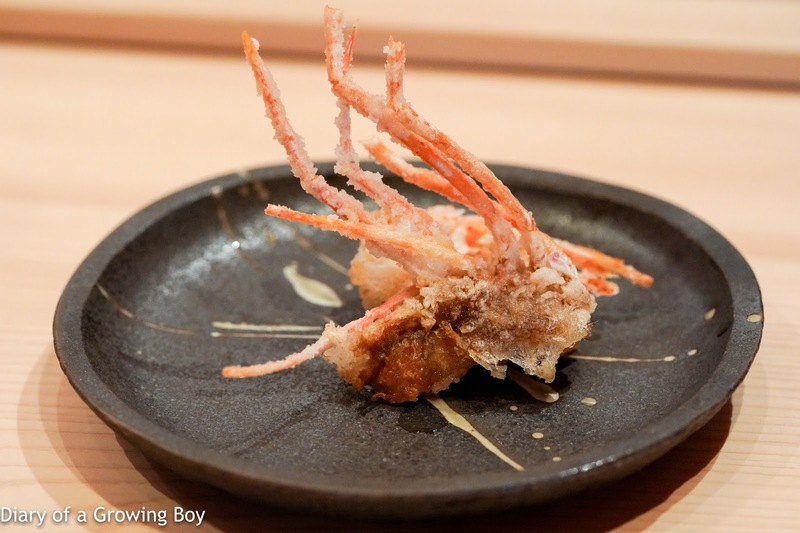 Japanese horsehair crab (毛蟹) - the meat from the leg. Just the purity of the natural flavors. Beautiful. 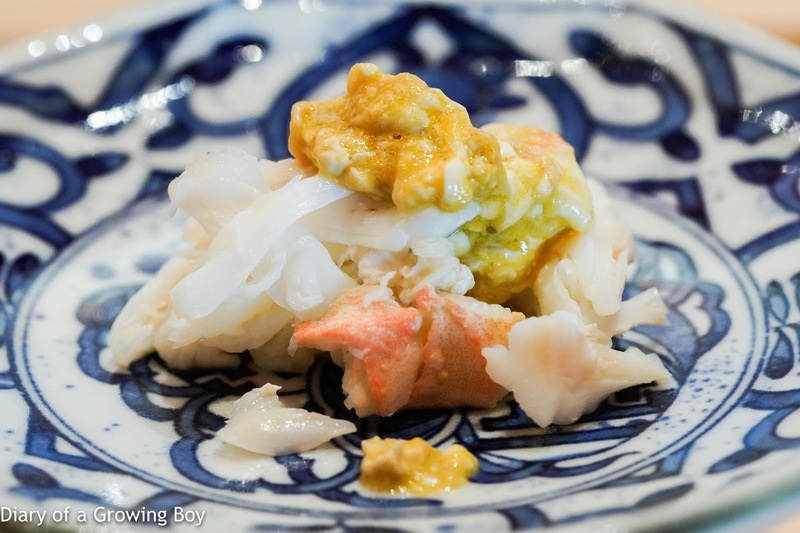 Then came a pile of meat from the crab's body, topped with crab tomalley (蟹味噌). 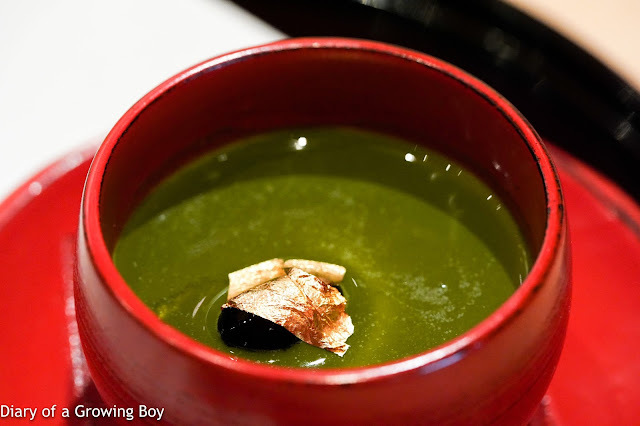 Ichigoni (いちご煮) - a regional specialty in Aomori Prefecture (青森県), this is a soup with Japanese green sea urchin (馬糞雲丹) and Ezo abalone (蝦夷鮑) - both from Hokkaido - as well as nori and perilla (紫蘇) leaves chiffonade. Very comforting and delicious. 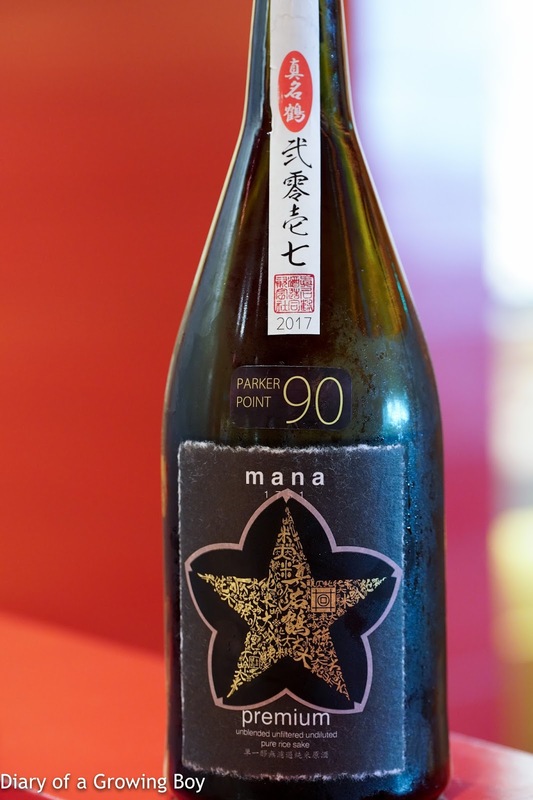 Manatsuru Mana1751 Premium (真名鶴 Mana1751 Premium), BY30 - a junmai daiginjo (純米大吟醸) with seimaibuai of 50%. 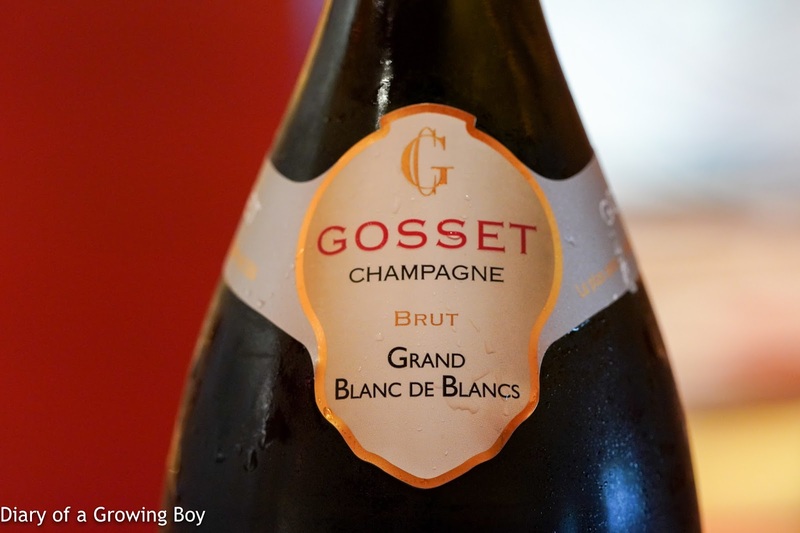 Initially muted because it was served too cold, as it warmed it showed a sharper nose with some acetone notes. Once it fully warmed up it became smoother and slightly sweet. Then it was time to move on to sushi... The vinegar in the shari (しゃり) was rather pronounced. 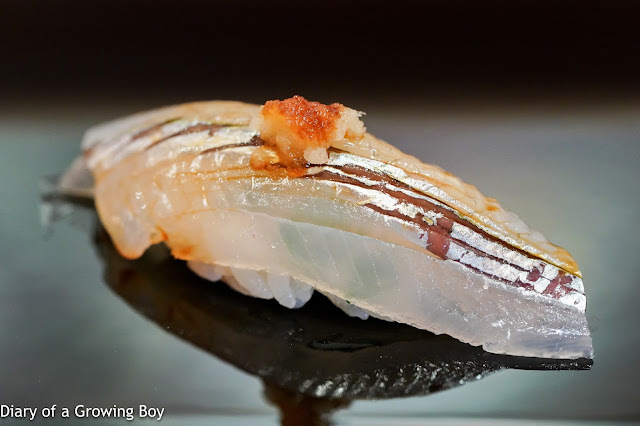 Needlefish (細魚) - with a little minced ginger on top. Pretty nice. 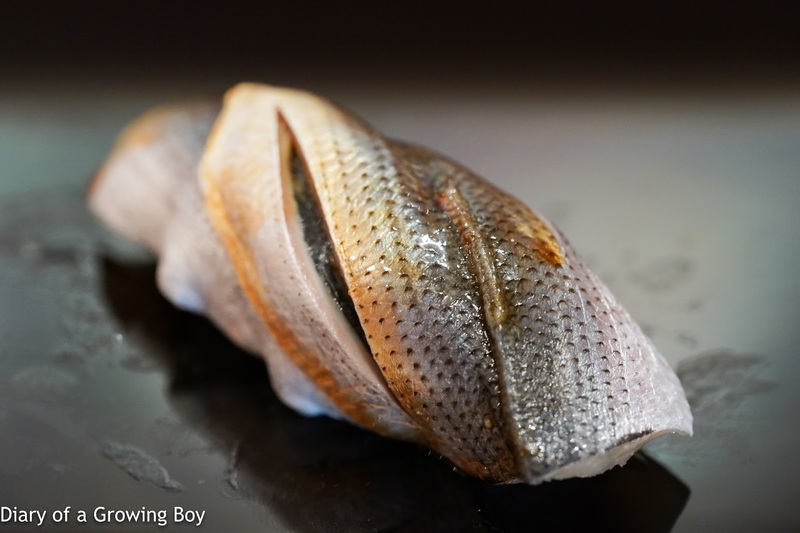 Ark shell (赤貝) - slightly crunchy and still tender. 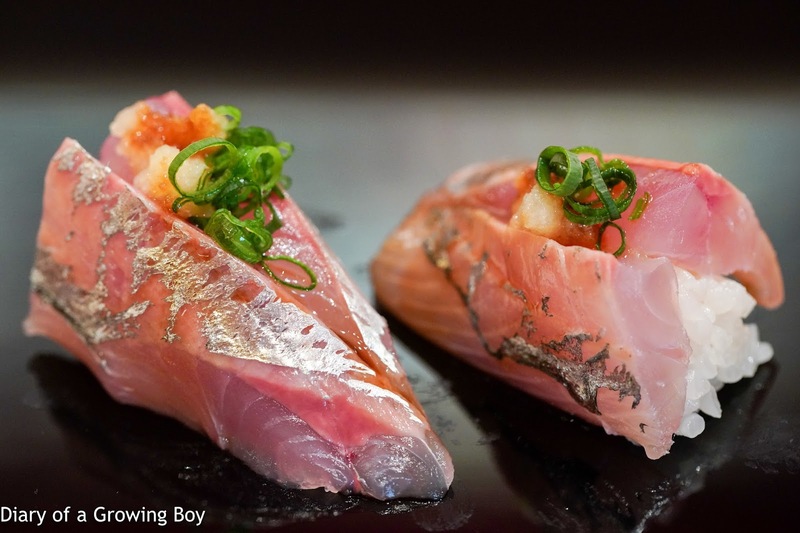 Horse mackerel (鯵) - substituted for tuna. 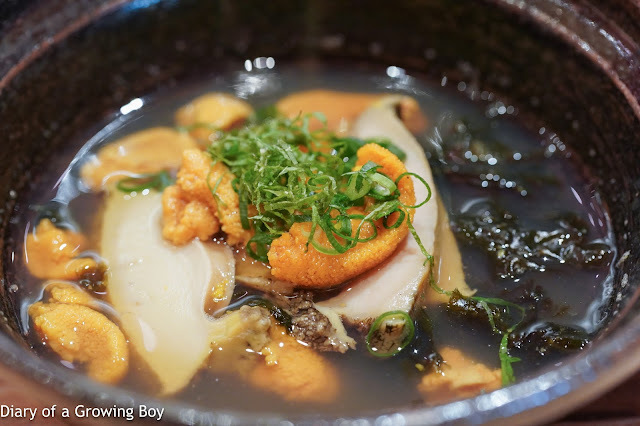 With a little kabosu (香母酢), ginger, grated radish, and spring onion. Botan shrimp (牡丹蝦) - with some kabosu. 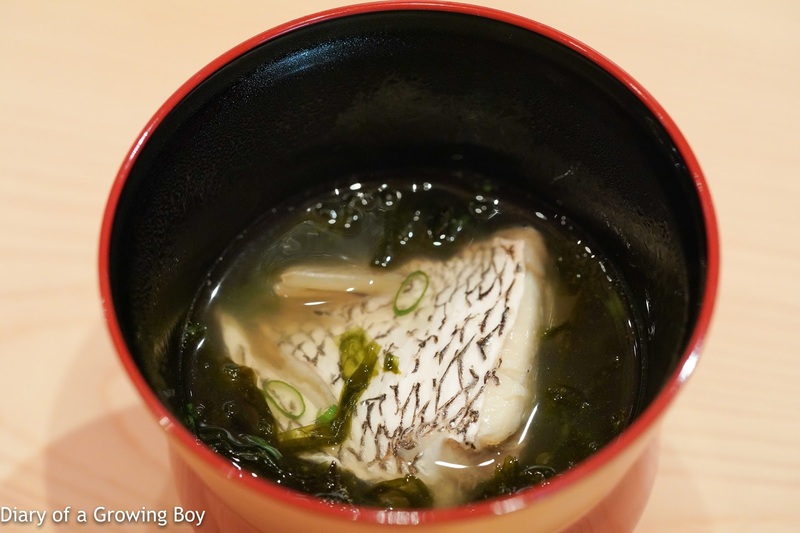 We have another soup, and this time there was a very tender piece of "leftover (アラ)" red sea bream, with this particular piece coming from the collar (カマ) area. Golden alfonsino (金目鯛) - very fatty and torching helped to melt the fat. With some citrus. 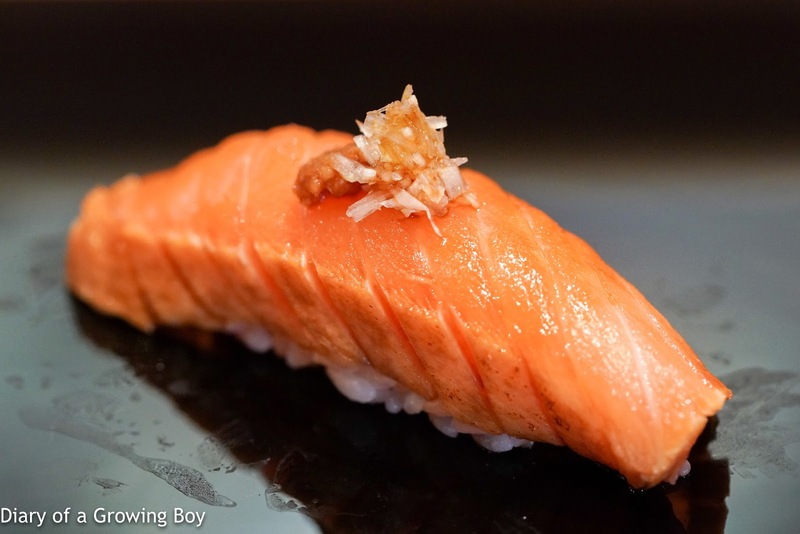 Trout (鱒) - from waters surrounding Hokkaido and Aomori. Lightly smoked with cherry wood chips after light torching, which delivered lovely smoky flavors. Beautiful. 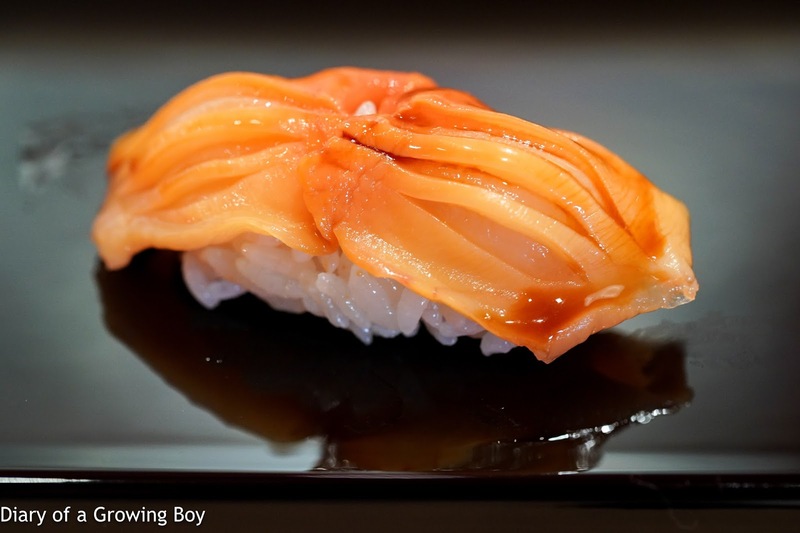 Served with diced raw onions marinated in ponzu. 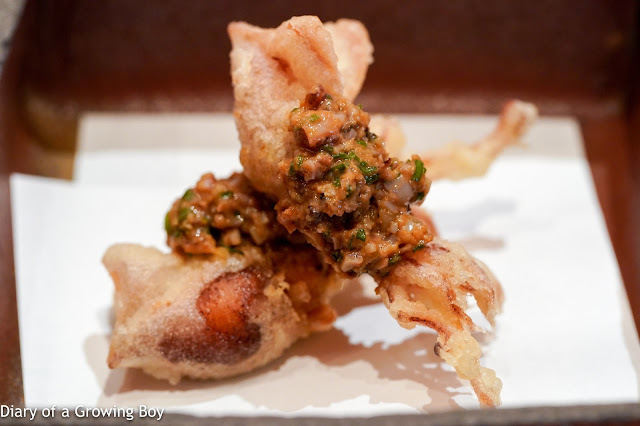 Gizzard shad (小鰭) - shinko (新子) is not in season yet, but these thin slices of gizzard shad were pretty small. 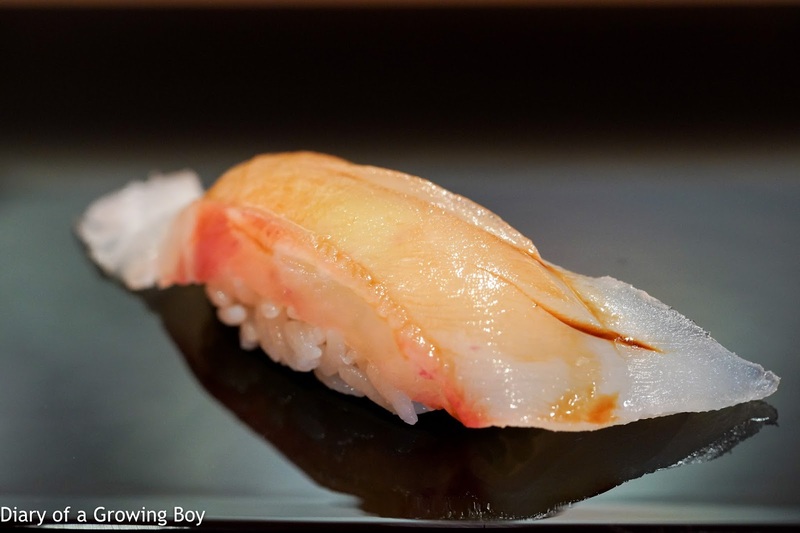 The acidity in the fish was pretty high. 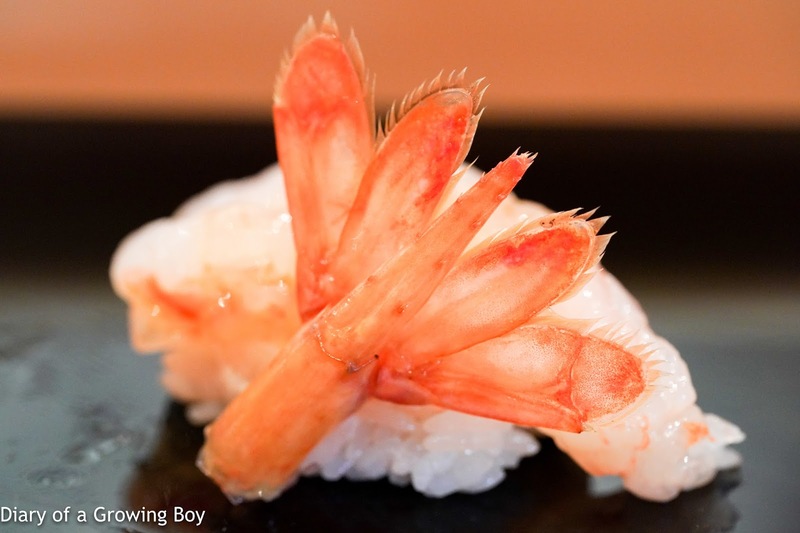 Botan ebi head - deep-fried and always delicious. 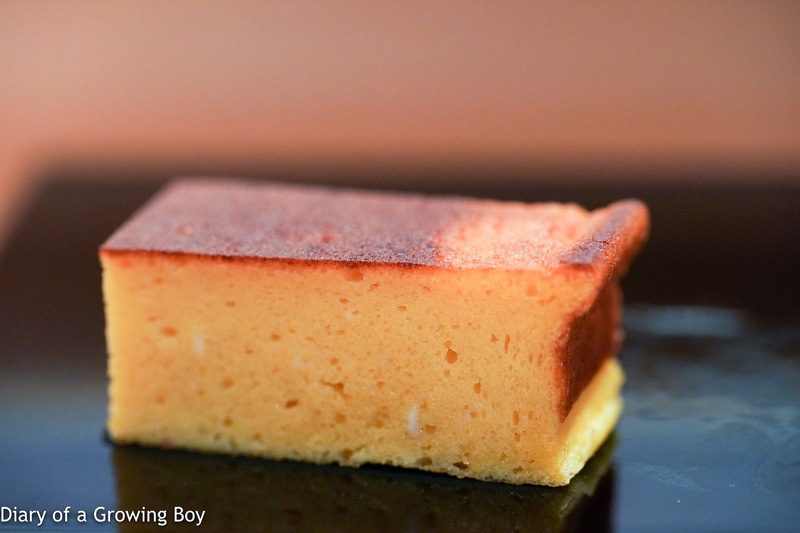 Egg (卵) - nice to see that it's the higher-end type resembling a Japanese honey sponge cake (カステラ). Made together with fish and shrimp, of course. Finally, we have our fruits and dessert. First up was Amaou (あまおう) strawberry with cream, along with a nice of very, very, very ripe and juicy Musk melon from Shizuoka (静岡). Then we have Fujikawa-san's homemade coconut pudding (ココナッツプリン) with matcha sauce on top, along with a single black bean (黒豆) covered in gold foil. Very soft and wobbly. Very creamy. Very good. This was a lot of food, and all of it very good. 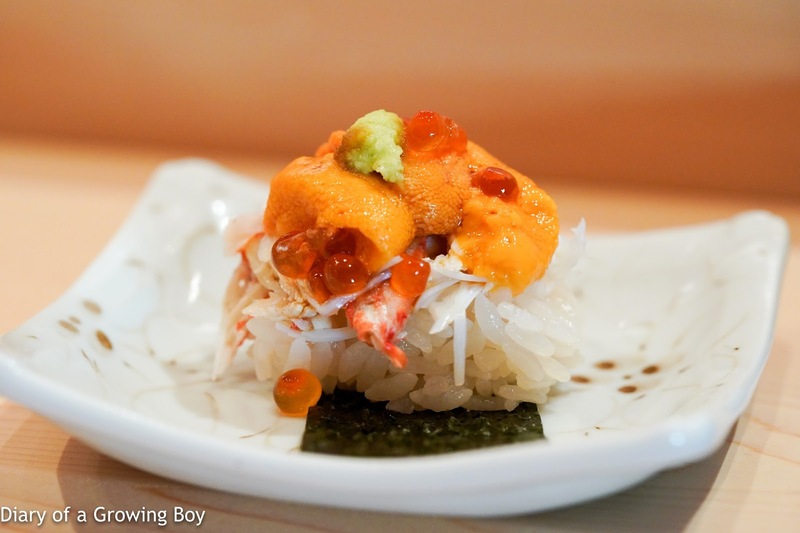 Would be very curious to come back and try the tempura (天ぷら) and other non-sushi offerings. Many thanks to our hosts for the treat! 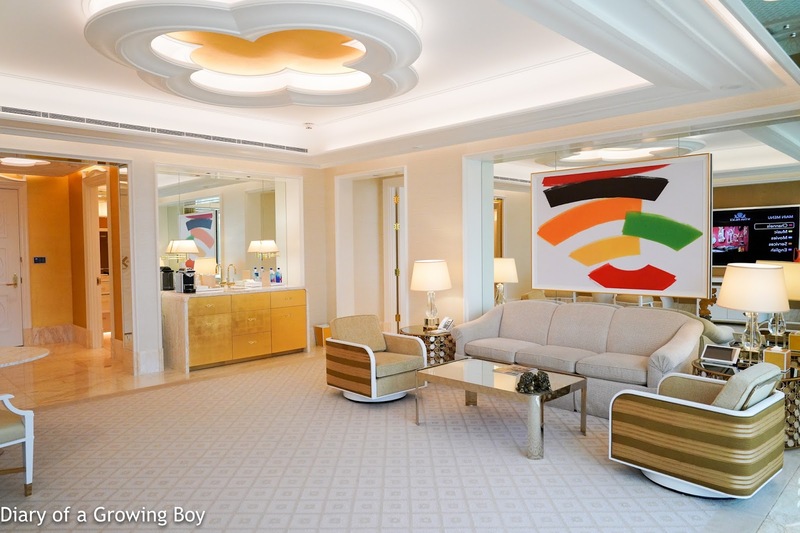 But at least I think I could enjoy the very spacious bathroom.